In Anthony Stabley’s Everlasting Matt tells the story of his romance with Jessie, who travelled from their home town in Colorado to Los Angeles to make it as a model. When Jessie is found dead, Matt becomes determined to find who was behind it and to make them pay, preventing her from being seen as just another statistic. 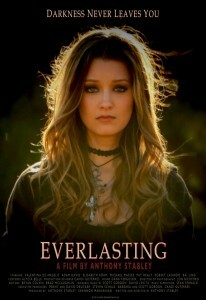 Everlasting is a tragic love story and is more a dark mystery, rather than a full-blown horror film. The horror in the story is in the idea of young love being destroyed by death and the tragedy that could have, arguably, been prevented. Jessie leaves Colorado to pursue her dream of fame and success, but is also running away from her unhappy life. The only good thing in her life is her boyfriend Matt; a sweet, doting boy who is besotted with her. Jessie lives with her single, alcoholic mother and is here where the problems lie. The idea of craving a better life is something many young people feel and Los Angeles seems like her perfect escape. 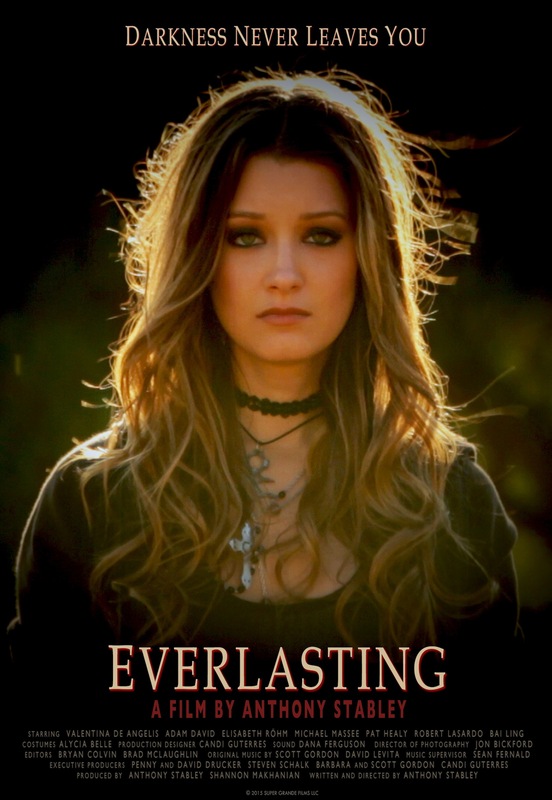 Everlasting’s near 80-minute runtime is a breeze of beautiful cinematography and genuine intrigue. There is a stunning technical achievement here, with the film’s blending of hand-held cameras and a traditional filming style working well to make each moment feel different to the last. The couple’s romance is captured in an affecting manner, with gorgeous scenes typically surrounding them and subtly presenting how natural it is to fall in love. It is easy to sink in to their bittersweet love story, because Valentina de Angelis and Adam David who play the couple are wonderful to watch. They both have an air of childish naivety surrounding them, but you can’t help but feel charmed and interested in their lives. The only minor flaw with Everlasting could be with the ultimate reveal which feels a little lacklustre. There is no real surprise when the killer is unveiled and you may question whether the journey to get to that point was really worth it. A bit more of an explanation would have been ideal to prevent the ending from feeling unsatisfactory. The underlying message is that terrible things can happen to anybody without an explanation but for the sake of entertainment, it would have been great to have a more dynamic, memorable ending. Everlasting is a lovely film; it benefits from its simple, yet unique approach to storytelling and is propelled by its strong, young leading actors. It looks and feels like an animated painting with its sublime cinematography, the film is truly stunning to look at and this makes for a harrowing contrast to the murderous event at Everlasting’s centre. If this film is anything to go by, then Anthony Stabley is definitely a writer-director to keep an eye on. Films like this are far and few between, and sometimes it’s refreshing to watch something so genuinely poignant and effective.